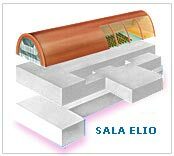 Here you will find the Auditorium Elio, the biggest and important room of the building. 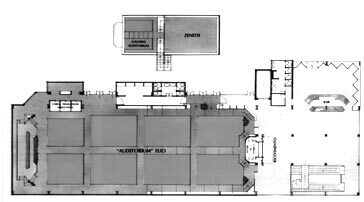 900 seated places, stage stall with chairs with flat writing desks, centralised simultaneous translation, and retractable electronic screen, mobile platform for speakers, international podium, equipment and projectors for videos, films, and slides. On this floor there is also a second bar and the very panoramic and well-lit Zenith room (from 20 to a maximum of 50 seats), a perfect location for press conferences, limited reunions and smallmeetings. The managed production room with the most sophisticated technical equipment and technology are all in perfect working order. The Auditorium puts the Congress Building Montecatini Terme in the highest position in the classification list of European centres. Cloak room, first aid room, garage e kitchen (completely equipped for cooking in the case of requested catering) are located in the basement.